It is with great sadness that the family of Margaret Ann Davis (nee: Godwin) announce her passing on Oct 14, 2012 at Longfields Manor, Ottawa Ontario. She is survived by her 3 daughters, Karen Davis Jackson (Kevin), Theresa Davis Grenier (Al) and Natalie Davis. Her grandchildren, McKenna, Kaden, Blayke and Brendyn. Her brothers Wilson, Garry (Marie), Jimmy (Beverly), Raymond (Eleonora), her sisters Juanita (Charlie), Marilyn (Ray), Sheila (Frank), Rowena (Lawrence) and Pauline (Malcolm) and a large number of nieces and nephews. She was preceded in death by her mother (Gladys Hewitt Godwin, 1975), her Father (James Godwin, 2000) and her son (Kenneth Davis, 1983). 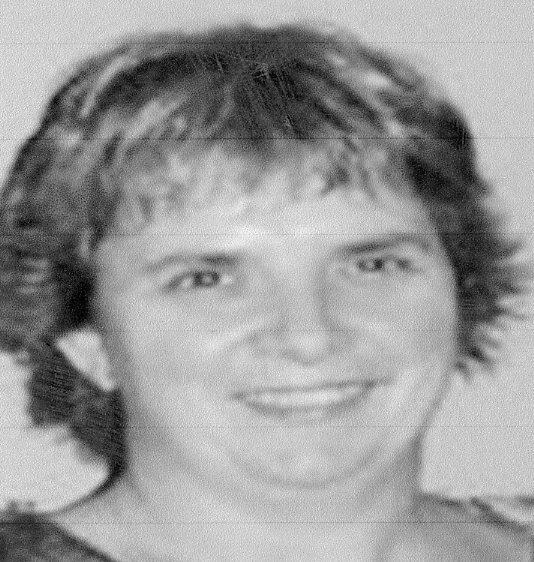 Margaret Ann Godwin Davis was born in Happy Valley, Labrador on October 11, 1960. The family wishes to acknowledge with deep appreciation the many expressions of love, concern and kindness shown to us during this difficult time. May God Bless you all and keep you. Wilson and Ray and Eleonora Godwin.